I’m pleased to announce I have just finished printing my latest screenprint. It was such an exciting ( and challenging ) edition to print as it is printed on reclaimed wood. About 90% of the pieces of wood have been found and collected by me on coastlines in Sussex and Scotland, dryed out in my studio and then sanded. Even though they are all part of an edition each piece is completely unique. In a couple of days i’ll upload some of them on my website and then some of the prints will be sailing to some of the lovely galleries that show my work… Each piece has fixings attached on the back of the wood so they will be ready to hang on the wall. I didn’t want to spoil the effect of the print by adding writing on the front of the image so they will all have their edition number, title and my signature on the back. The photo shows just a few of the finished prints drying in the print studio….. Hope you like! 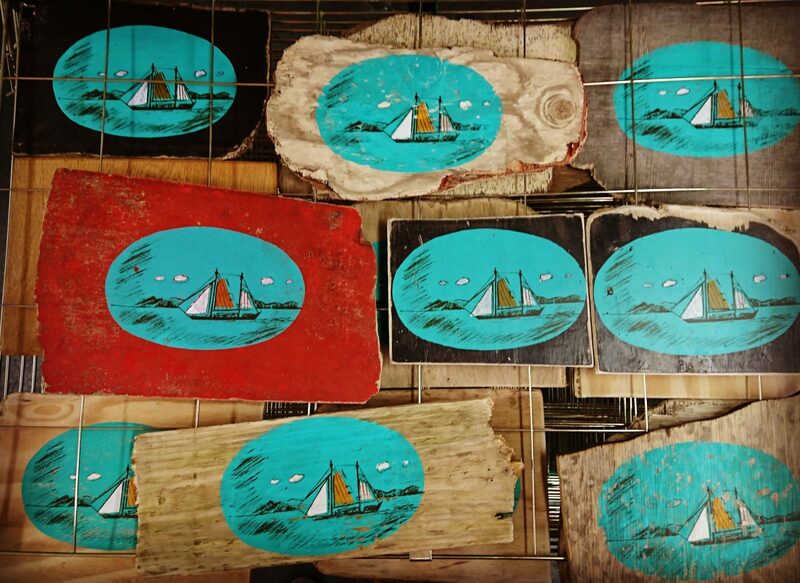 Gallery road trip and brand new hand printed greetings cards….